Emmanuel Macron is the new Youngest elected president of France. An investment Banker by profession and a champion of France’s tech startup movement and economy minister. He is the France’s youngest president has never held elected office. He elected based on the campaign on promises to revive the country through pro-business and pro-European policies. He defeated far-right nationalist Marine Le Pen and her protectionist, anti-immigration party. He quit his job as an investment banker at Rothschild to become Socialist President Francois Hollande’s economic adviser, working for two years by Hollande’s side at the presidential palace. During his stint of economic adviser of France, he promoted a package of measures, notably allowing more stores to open on Sundays and evenings and opening up regulated sectors of the economy. he is the strong advocate of a free market and entrepreneurial spirit has called for France to focus on getting benefits from globalization rather than the protectionist policies advocated by the far right. Emmanuel Macron launched his own political movement, En Marche, or In Motion, through which he initiated the appointment of government that includes new figures from business and civil society. In his political rallies, he encouraged supporters to wave both the French tricolor and the European Union flags. 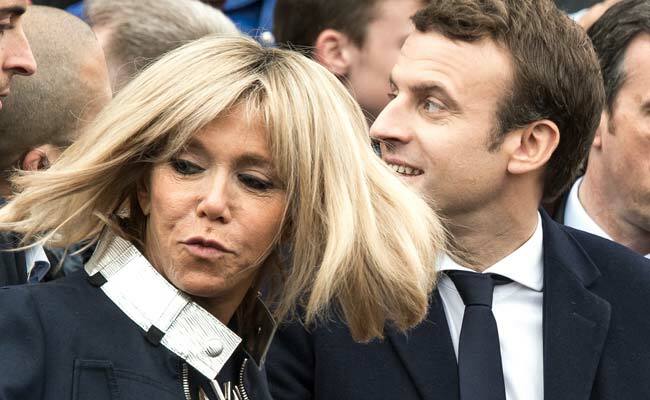 His wife Brigitte Macron is his closest adviser. Around 24 years senior to him, he helped him in preparing his speeches. Their love story is interested , Macron and his wife Brigitte romance started when he was a student at the high school where she was teaching in Amiens in northern France. That time Brigitte was married mother of three. She was supervising the drama club. Macron, a literature lover, was a member.